magazine for the active Senior. Comprised of first-class editorial, beautiful photography and award-winning design, our pages are filled with distinctive content that is intelligent, timely and pertinent. 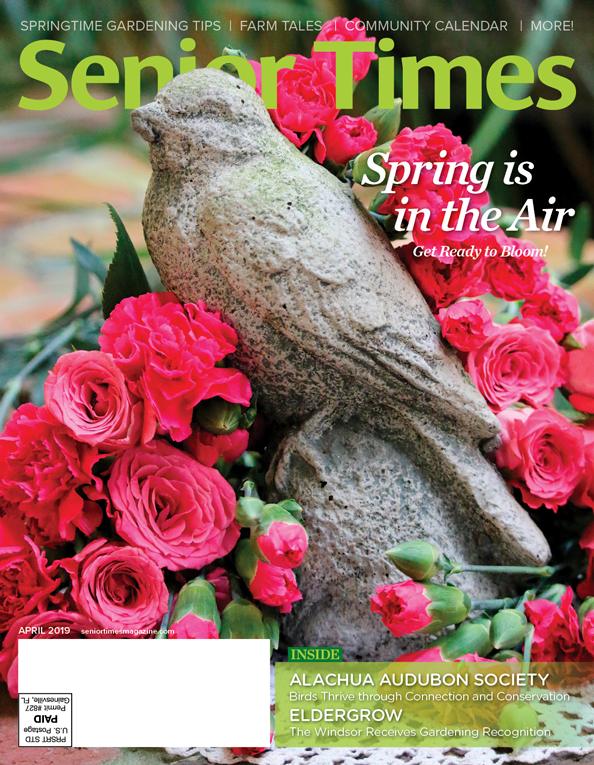 Each edition of Senior Times contains feature-length articles and columns on topics such as: Travel, Entertainment, Civic & Charitable Involvement, Shopping, Dining, Health & Wellness, Local Interest and much more. With a direct-mailed and distributed circulation of over 35,000, and an estimated readership of 80,000 — Senior Times Magazine is the leading resource for active Seniors in Alachua and Marion Counties, and a great way to reach this rapidly growing and highly active demographic. We distribute 24,000 copies in Alachua county. Most of which are direct-mailed to 98% of all homeowners over the age of 55, including retirement communities. In addition, we also demand distribute to every hospital, geriatric physician offices, rehabilitation centers, banks, and retail locations. In Marion county, we distribute another 13,000 copies via demand distribution locations instead of direct mail to keep the magazine cost-effective for advertisers. However, with 13,000 copies to supply the area, there’s more than enough for free pick-up in all of the same kinds of locations as the Alachua county edition. 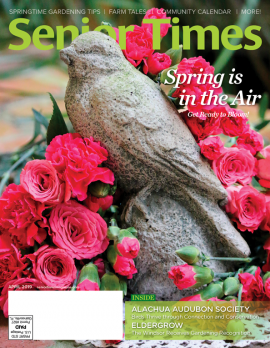 We're proud to stock Senior Times magazine at many Publix Supermarket locations in both Alachua and Marion counties. "We have been advertising for years, and have always been very pleased with the response. Senior Times is a permanent part of our marketing budget." "Senior Times Magazine provides us direct communication to our target audience. There's no other place for that kind of saturated exposure in Alachua County."